Just because cold temperatures close the window for outdoor golf doesn’t mean your golf training has to come to an end as well. The off-season is a perfect time for you to evaluate your game … the good, the bad and the ugly. And it’s the perfect time to challenge yourself to set new goals and raise your golf game to another level. After all, this is your game and only YOU can make the commitment to improve your handicap. Regardless of where your game is now, there is opportunity to revamp and make positive strides towards improving your personal best. This doesn’t mean you have to cancel your ski trip either! 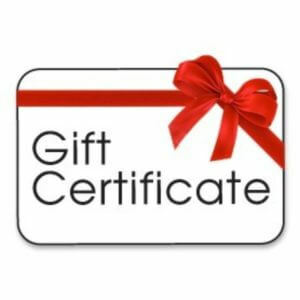 For about an hour a week you can advance towards becoming a better golfer. 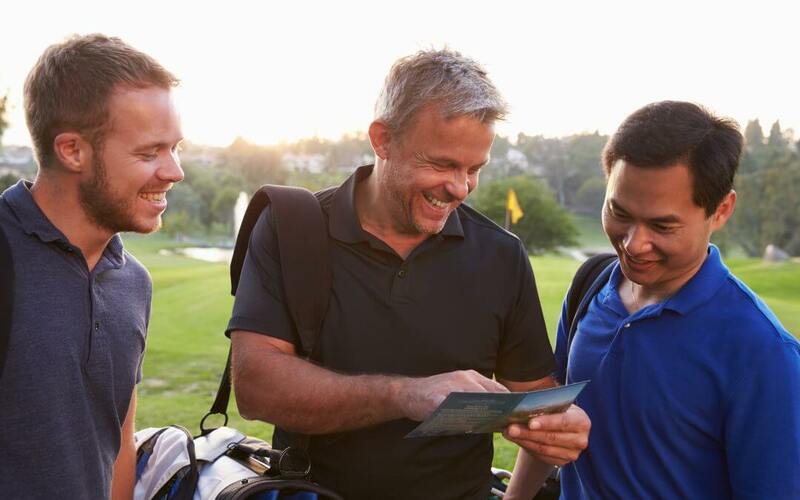 While The USGA (United States Golf Association) handicap system has been established to level the playing field in amateur competition, you can use it to motivate yourself to train your game. 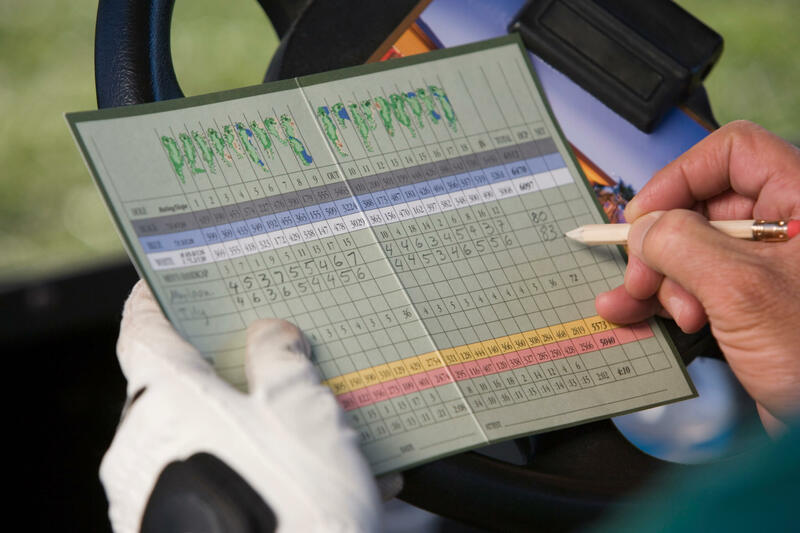 A handicap is calculated using the 10 lowest scores of your 20 most recent rounds. So it can change from round to round. The goal is to get better — to lower your handicap. Golfers cannot cherry pick short, easy courses to play just so they can score low either. Handicap calculations include course ratings and slope ratings and take into account how long and difficult courses actually are. So go ahead and play the monster tracks. You may score a bit higher but your handicap may still go down. How do you rate amonst golfers? 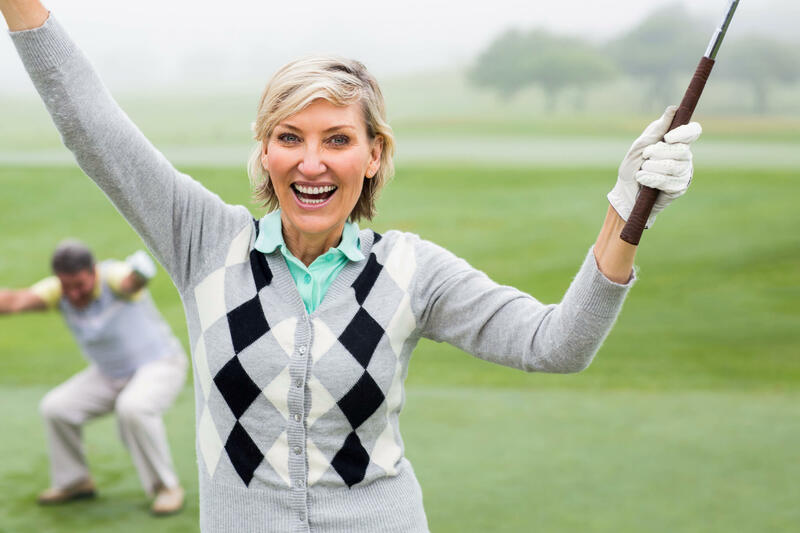 The USGA reports if you are female and carry a 25.0-25.9 handicap, then your golf game is better than about 50% of female golfers with handicaps across America. If you are an American male with a 13 handicap, you play as well or better than 50% of other male golfers with handicaps. After review, you may find you fall into the top 50% of same-gendered golfers. Whether you are thrilled or disappointed, you can use your standing as an incentive to whittle your handicap down. Avoid blow up holes that inflate your handicap. Enjoy confidence and peace of mind when competing. Own the bragging rights to “most improved” by your club or league. Regardless of your motivation to improve, training during the winter months is the perfect time to fine-tune your game. While your inclination may be to hibernate with the bears … don’t do it! Be a better golfer in 2018 … set a goal, make a plan, train well. Your playing partners will be amazed! Yes, I want to train this winter!